"Like Steve Jobs, Bill Gates, Larry Ellison, and the other greats, Jim Koch's entrepreneurial journeyis motivated by a deep commitment to making superb products and building aunique culture that reinforces innovation and risk-taking. This book tells acompelling story about how he did it. The lessons will be invaluable for anyonestarting a business or building a career." Pull up a chair and crack open a Sam Adams. It’s time to leave behind business as you know it. Quench Your Own Thirst covers everything from finding your own Yoda to Koch’s theory on how a piece of string can teach you the most important lesson you’ll ever learn about business. Koch also has surprising advice on sales, marketing, hiring, and company culture. His anecdotes, quirky musings, and bits of wisdom go far beyond brewing. A fun, engaging guide for building a career or launchinga successful business, Quench Your Own Thirst is the key to the ultimate dream: being successful while doing what you love. So, are you quenching yourown thirst – or someone else’s? 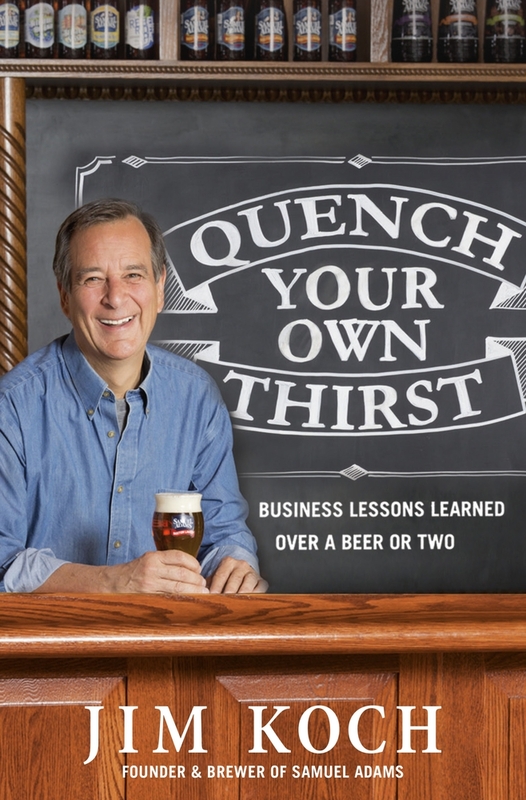 Hear founder of The Boston Beer Company and brewer of Samuel Adams Jim Koch reading an excerpt from his new audiobook QUENCH YOUR OWN THIRST. 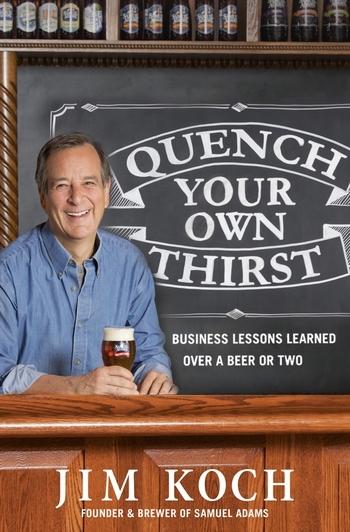 "Quench Your Own Thirst is a frosty mug full of sound advice for turning passion into a great business." —Tony Hsieh, New York Times bestselling author of Delivering Happiness and CEO of Zappos.com, Inc.
"Always true to himself, the author's belief in Samuel Adams and the people around him is what makes his story and philosophy so genuine and endearing. Koch's down-to-earth personality, business advice, and passion are good models for those interested in making their own ways. " "Like Steve Jobs, Bill Gates, Larry Ellison, and the other greats, Jim Koch's entrepreneurial journey is motivated by a deep commitment to making superb products and building a unique culture that reinforces innovation and risk-taking. This book tells a compelling story about how he did it. The lessons will be invaluable for anyone starting a business or building a career." —John Paulson, Founder of Paulson & Co.
"[Koch] writes about building and running a company in a fun and folksy tone. He is also refreshingly candid about the hard battles and missteps along the way. Unlike many turgid, self-told business books, Quench Your Own Thirst goes down easy."